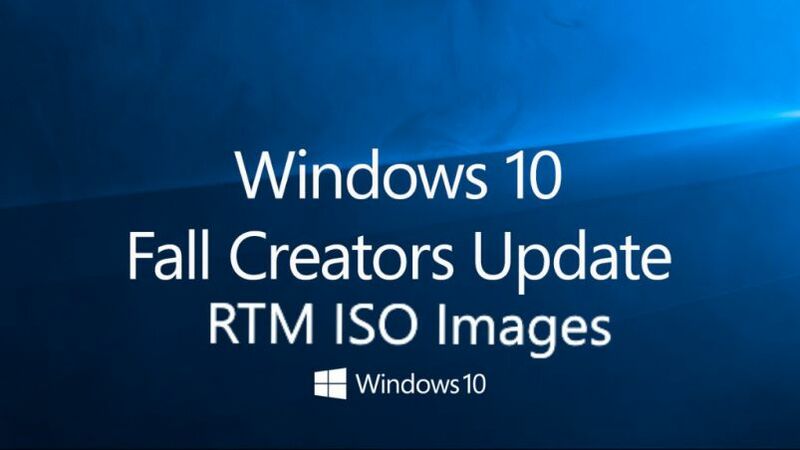 Windows 10 Fall Creators Update RTM build 16299.15 ISO images are now available for download. Windows 10 RTM build 16299.15 ISO image files are now available for download. Today, Microsoft rolled out Windows 10 Fall Creators Update RTM build to fast ring insiders with minor fixes and improvements. According to Dona Sarkar (Insider team head), the team will now start testing out servicing this build with the Cumulative Updates via Update. Remaining bugs will be fixed with cumulative updates. This means, build is final Windows 10 Fall Creators Update RTM for PCs. The past two Xbox One builds in the Alpha ring have also been build 16299, so they’re aligning across the board. Additionally, Mobile users can expect build 15253.0 as RTM. Previously, Insider team released build 16299 with minor changes and bug fixes. The build is now available for both fast and slow ring insider members. You can read more about the previous update here. We’ve added the Windows 10 RTM build 16299.15 ISO images links which you can use for fresh installations. In addition, the UUP files are also now available. You can create your own ISO images with it. Check out more detail and download link below. More links will be added later. The new All-in-One ISO includes all Windows 10 Fall Creators Update RTM editions like Home, Pro, Cloud, Enterprise and Education Editions in one single ISO file. Download the ISO files from the link below. Also, read how to create bootable USB drive with Insider build ISO files. Soon we will add more ISO download links. You can check back later.